Facebook has a lot of really great features that can help when you are looking for a job. 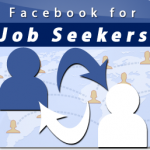 Going through the process of building up a Facebook network can definitely give you the edge when searching for a job, as long as you go about it the right way and understand exactly how to use it. Having said that, the following are the 10 best tips for effectively making use of Facebook when searching for a job. 1) Check your Facebook profile on a regular basis always. Think about those things that you surely would not want your boss to see, like certain pictures and comments, as well as any applications for games that one might think you would play during the time you’re working, and take them off of there. 2) Change your Facebook security settings so that your profile can be viewed by everyone, not just family and friends. Employers will then be able to locate you more easily on there. 3) Be sure to post any links to samples of your work, or just have the work stored right there on your profile. 4) It is very important to have a link to your up-to-date resume on your profile as well. After all, that is one of the first things a prospective employer is going to want to look at. 5) Take advantage of the search feature on Facebook and look for those recruiters who are in your area and industry and add them to your network. 6) When building your Facebook network, stay focused on those folks that are always on there and have lots of friends beyond their family. You want to have a network of people from your local area, your state, your industry and even some who have the job title of perhaps your future employer. 7) Go ahead and join some groups in your industry to get and give information and know about any companies that may be growing and hiring. You could also start your own group and invite several industry recruiters to join it. 8) Use one of Facebook’s blogging applications to build your own ResuBlog , containing your resume and perhaps some information that you know about your industry, along with problem-solving solutions to certain things in that industry. Write about what you know and build yourself up. 9) Utilize the search function on Facebook and look for information that has been posted from those companies in your industry. 10) Once you have gotten a lot of information, post links to it on your wall as well as your network and your ResuBlog. You could also put links to the information on the different walls of the groups you have joined. They key is for you to be known as someone who has all the information. 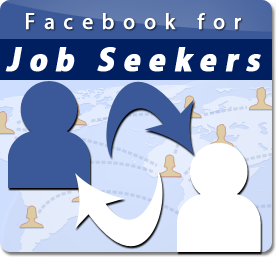 These 10 tips will be a lot of help to you when you are searching for a job by utilizing Facebook.